The JCU compliance framework comprises a set of components that provide the foundations and organisational arrangements for designing, implementing, monitoring, reviewing and continually improving legislative compliance management throughout the organisation. Assure - internal and external audit and review activity providing a formal approach to continuous improvement. University’s Legislative Compliance Register, whereby Responsible Officers are designated to oversee their respective Division's compliance with applicable legislative obligations. To assist Responsible Officers in discharging their requirements under the JCU Compliance Register and regulatory requirements more broadly, a Legislative Alert Service has been set up through a third party that specialises in providing tailored regulatory support services to organisations. Responsible Officers receive Alerts in accordance with their functional area of responsibility. Email notifications are received when proposed (or existing) legislation and/or regulatory requirements change. Responsible Officers need to ensure applicable changes are communicated to employees in the impacted area and changes reflected in relevant procedures and practices. 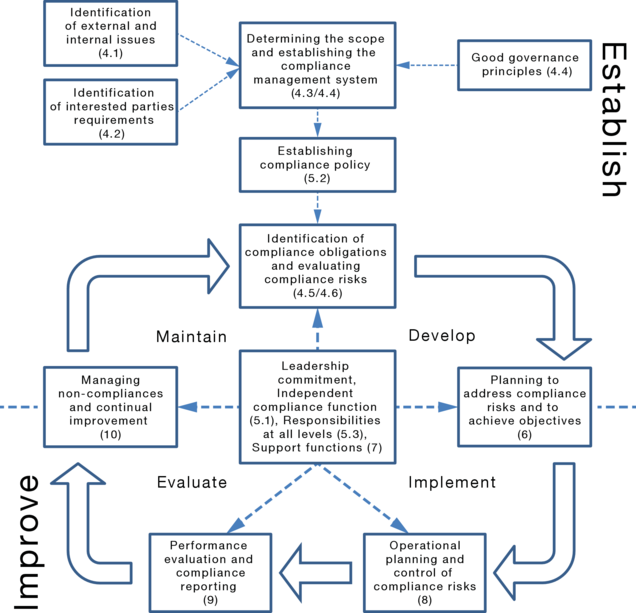 Compliance management at JCU is aligned to the various components outlined in the compliance management system as depicted in the most current release of ISO19600.